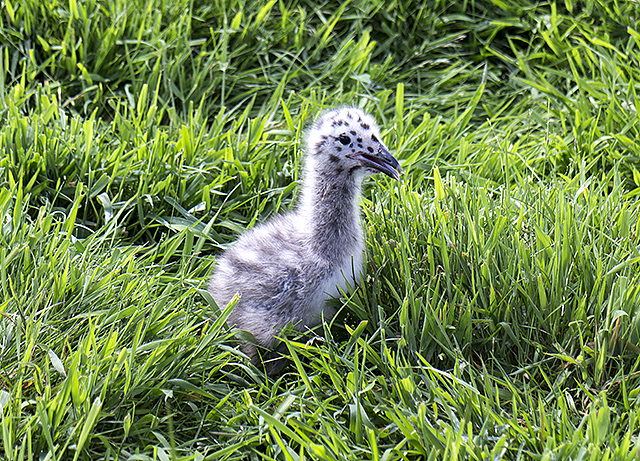 A Black-backed gull chick on St Serf's island in Loch Leven. Thousands of gulls breed here in the summer months. © Copyright William Starkey and licensed for reuse under this Creative Commons Licence. Augustinian prior Andrew of Wyntoun (Scottish historian} died here c.1420. His 'Original Chronicle' included the story of MacBeth, MacDuff, and the witches; later to be a source-book for Shakespeare. https://en.wikipedia.org/wiki/Andrew_of_Wyntoun and the Wikisource link.